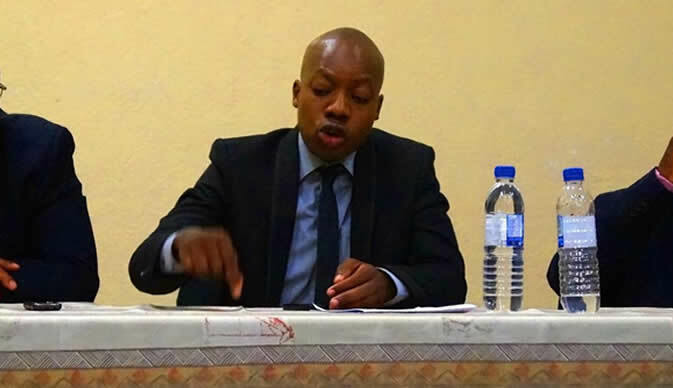 A HARARE magistrate yesterday dismissed an application for discharge filed by television personality Oscar Pambuka and former Highfield West legislator Psychology Maziwisa (Zanu-PF), who are facing charges of swindling the Zimbabwe Power Company (ZPC) of $12 650 in a botched public relations deal. Maziwisa (34) and Pambuka (33), who were represented by Augustine Borerwe, appeared before magistrate Lazini Ncube, who remanded them to November 1 for their defence. Maziwisa is the director of Fruitful Communications, while Pambuka is employed as a media executive. In dismissing the two's application, Ncube said two State witnesses — suspended television services head Tazzen Mandizvidza and bulletins manager Moses Charedzera — had corroborated with each other's testimony that the accused had no role in the production of news at the national broadcaster. "The accused person also did not deny submitting the two invoices and now the question is that they should answer what they were paid for?" he ruled. Ncube also dismissed the two's application that the State should prosecute Fruitful Communication instead of them in their individual capacities. The magistrate said there was nothing wrong with the State's decision to charge an individual director or employee of a company. It is the State's case that on February 12 last year, Fruitful Communications hosted a ZimAsset conference at Meikles Hotel, where former Energy minister Samuel Undenge was the guest of honour and ZBC covered the event. The State alleges on March 8 last year, Pambuka and Maziwisa brought an invoice for $12 650 to ZPC and falsely claimed to have done campaigns, Press conference on power projects in Kariba, Hwange and Batoka and to have paid ZBC for the services. The duo, allegedly using the same method, brought an invoice to ZPC amounting to $36 000, but the power utility discovered that no work had been carried out and declined to pay. Michael Reza appeared for the State.